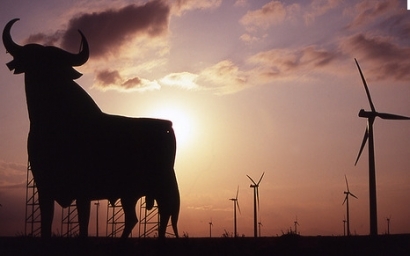 Impressive numbers: hydropower 25%, wind power 22.1%, photovoltaics 3.6% and solar thermal 1.3% of Spain’s electricity. Pictured is the Japanese ship Chikyu, originally an earthquake research vessel, now in service for discovering methane hydrates reserves beneath the ocean floor. Methane hydrates are estimated to be twice as abundant as the rest of fossil fuel reserves combined, we have reported about methane hydrates before here. It is no surprise that it is Japan that has the greatest interest in exploring this potential carbon fuel resource, as nothing has changed for Japan since the days of Pearl Harbor, when Roosevelt successfully provoked Japan into attacking Pearl Harbor (see “read more” section), which for Japan had everything to do with oil and for Roosevelt to get his desired war with Germany finally kicked off, via the Japanese backdoor. But we digress. 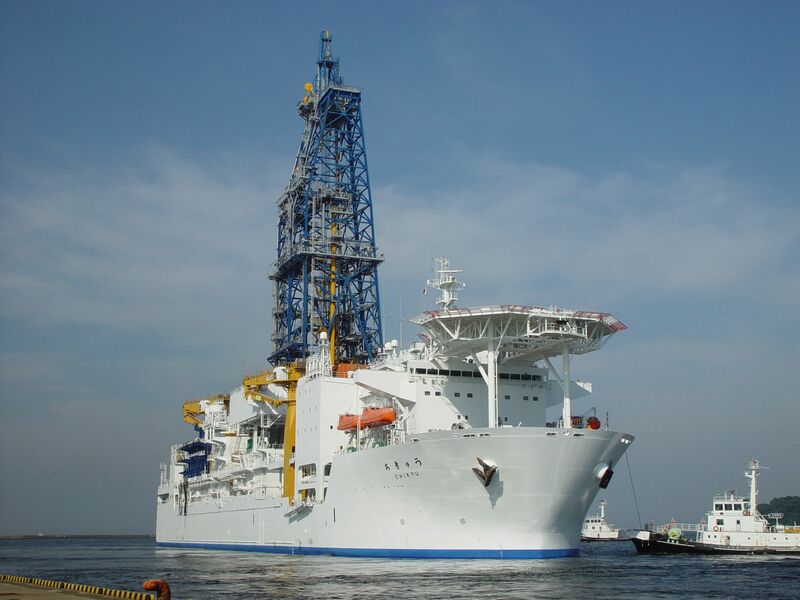 Japan started to investigate the methane-hydrates option since 1995. Earlier this year the laboratory-test-sample-phase was concluded and the production test phase began. But it is not just Japan that is interested; China, India, Korea, Taiwan, Norway, Canada and the United States have plans as well. 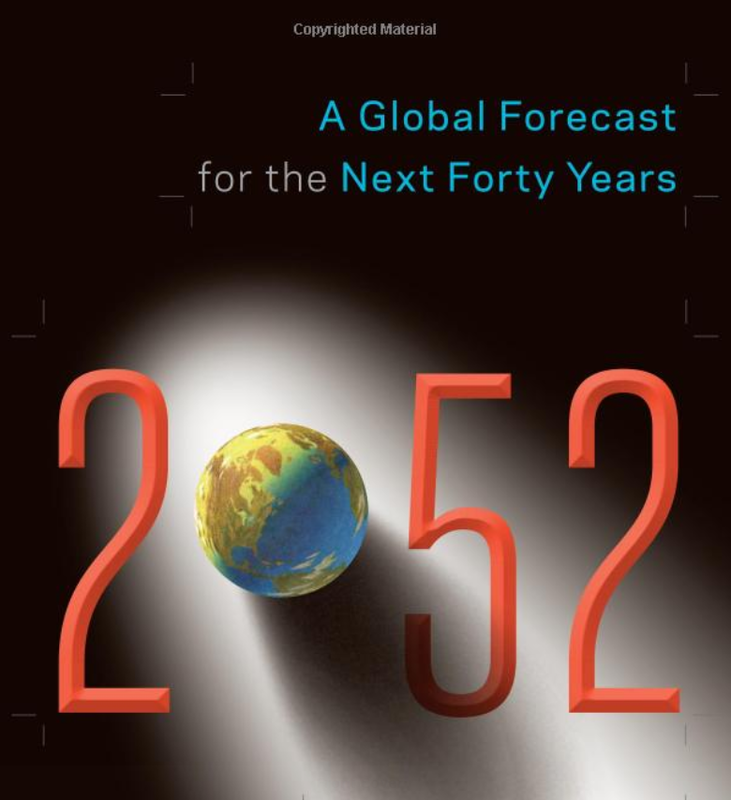 The author signalizes that if the methane-hydrates revolution would succeed, it could prolongue the fossil fuel era with potentially catastrophic consequences for climate change. [theatlantic.com] – Are Methane Hydrates Really Going to Change Geopolitics? 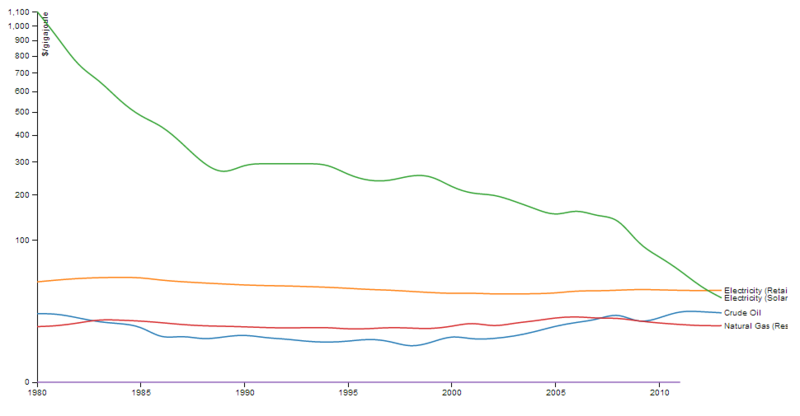 Very encouraging graph, showing the spectacular decline of the price of photovoltaic solar over the past thirty years. PV can now compete with conventional sources of energy and the end of price decrease is not yet in sight. 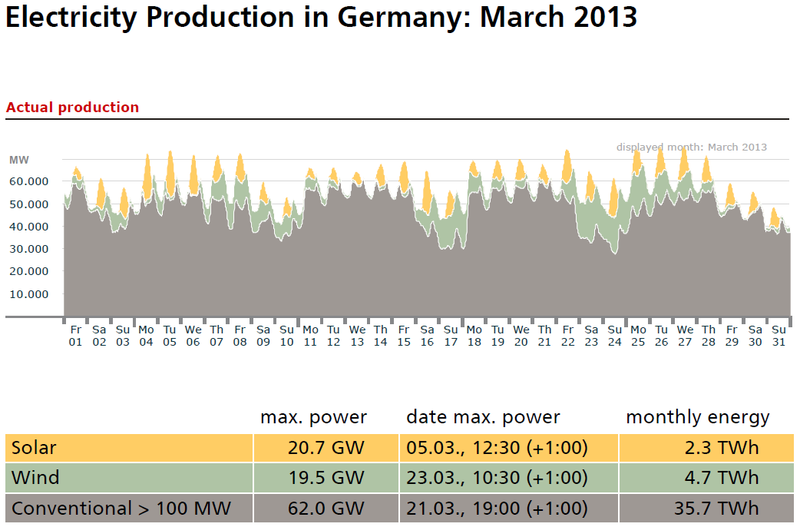 Germany, March 2013 electricity generation: 36 TWh concentional, 7 TWh renewable. The next 7 TWh capacity likely will be added much faster than the time it took to install the first 7 TWh. This posts contains rather specialized IT knowledge that comes with running a smart grid. Youtube text: Governments worldwide are mandating improved energy efficiency and investing heavily in smart energy infrastructure. Leveraging the deployment of communication-enabled electric meters, many applications can be offered to optimize usage, improve the reliability of distribution and transmission networks, and reduce greenhouse gas emissions. The Home Energy Gateway (HEG) is the hub connecting the utility-controlled smart grid and smart appliances in homes. This session provides an overview and demonstration of an HEG proof-of-concept running on Java ME CLDC VM. The HEG solution features implementation of a demand response Web services client; the Zigbee API for wireless connectivity; and an embedded Web server for remote device control, monitoring, and application management. We do not believe in cars, trucks or planes. To be honest we do not believe in industrial society either. But a few left-overs from that society could make life of the post-carbon world somewhat more bearable. 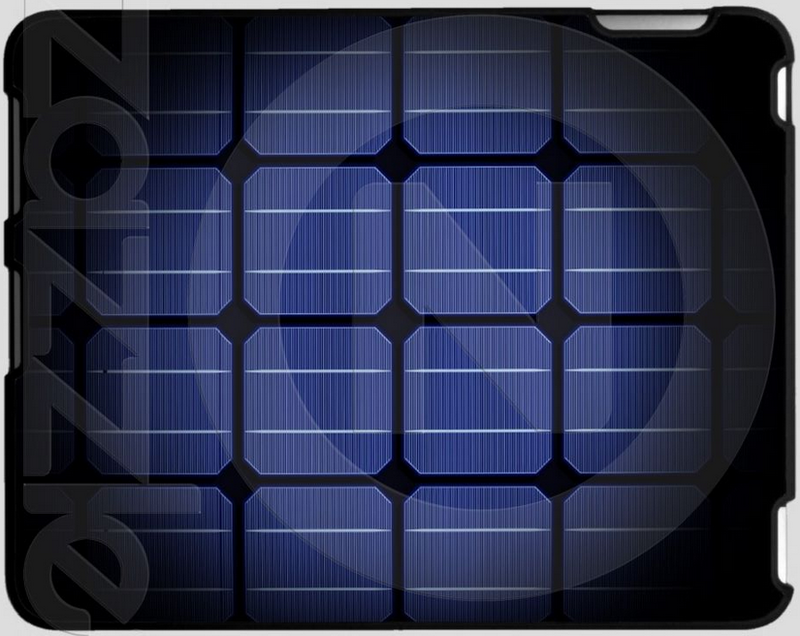 Like low energy footprint IT, based on a highspeed glass fiber network, already intstalled in large parts of the western world, and potentially zero energy tablet clients, meaning tablets that can be powered entirely using solar cells mounted on the back cover. This solar powered tablet device alone could replace telephones, desktops, televisions, films, books, newspapers, magazines, class rooms, school busses, commuting for office workers, etc., etc. And now for something completely different, as a little diversion from the serious business of commenting the precarious energy situation. Pictures from the future world made by hand.